Since a good 50% of a fashion editor's day is spent on Net-a-Porter (fact), it's easy to see why we'd make plenty of discoveries on the site. It stocks tons of new pieces multiple times a week, so it's a great place to go for trend spotting. 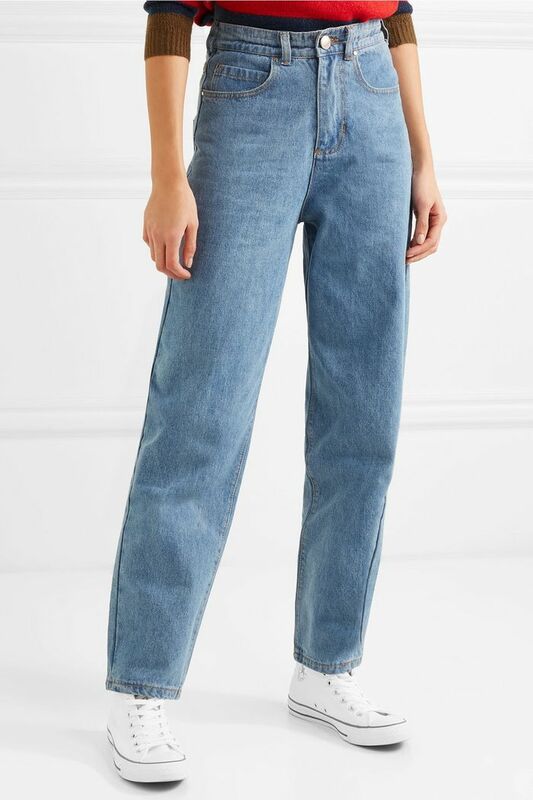 I've been in a new year, new jeans mindset lately, which took me straight to Net-a-Porter's new denim arrivals. Lo and behold, I was met with something I wasn't expecting: elastic-waist jeans. The brand responsible? UK-based L.F.Markey. According to its site, L.F.Markey is inspired by workwear and utility, which is evident in its new elastic-waist jeans, available in both true denim blue and red. Although this comfy waistband style was quite popular in the '80s and '90s, we've barely seen it since (unless jeggings count? ), but since everything else has recently returned from those decades, it seems fitting that this denim trend would as well. So, what's my verdict? I'd wear the 100% cotton jeans in a second. They look like all the other loose-fit jeans that are so on trend right now, but with the addition of a very comfortable waistband. I'm sold. Keep scrolling to shop the jeans, as well as more of the coolest new jean arrivals on Net-a-Porter. Nanushka can do no wrong in my book. These had me at "crystal-embellished." I'm currently in the market for chic stretch jeans. These will do. I want to be the girl who can pull these off. Next up, shop this week's best new arrivals.